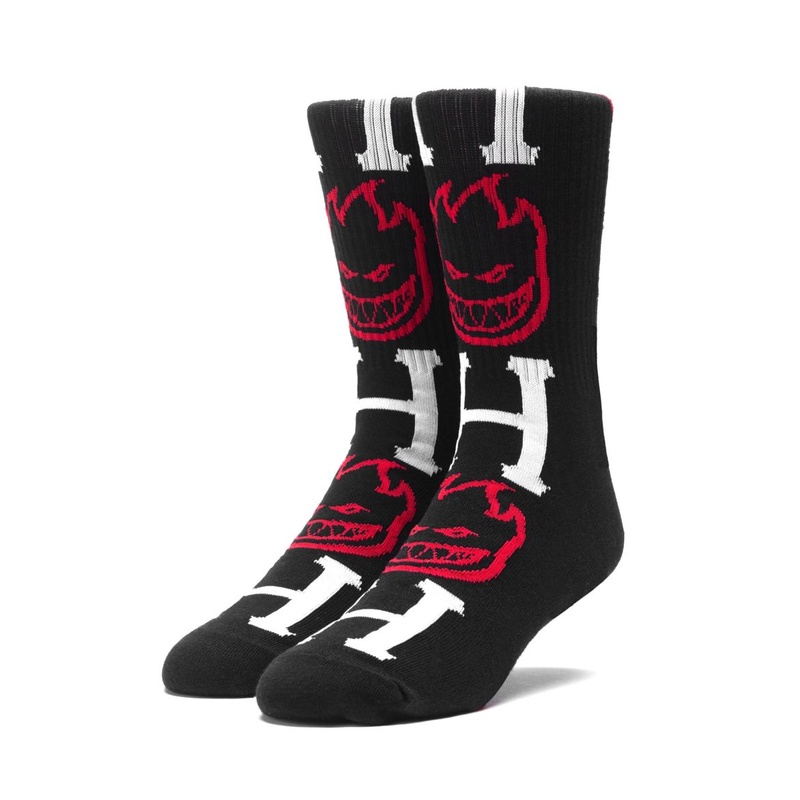 Light a fire under your feet with the HUF x Spitfire Bighead H Socks, featuring a custom jacquard-knit HUF "Classic H" graphic and Spitfire "Bighead" repeat design. Burn faster! • Cotton/poly crew-sock with jacquard-knit Spitfire "Bighead" and HUF "Classic H"